A quick Friday morning blog, just to make myself feel better and less guilty for being so absent. I think the biggest reason for my "blog" absence is that I have so many things that I would like to do SF wise that I am totally overwhelmed. I have at least 5 new stories I want to write, I have a few decorating projects that I have to complete, I want to update my family profile pictures and family biographies and then I also want to try my hand at some DIY furniture... but then real life happened and rather than using the half an hour I have over a weekend for my hobby I just sat and sulk and did nothing. The thing is that I had my birthday when we were on holiday and when we returned, everyone was hinting for a celebration party. Now as many of you might know, not all friends and family always "gel" and get along, so we had to have 3 (mini) parties to accommodate everyone. It was exhausting, but at least it is over and done for another year, and I got very nice gifts. I did however had some time during the week to take a few pictures, so without further ado (and moaning) lets do this! I decided to take new pictures of most of my families. 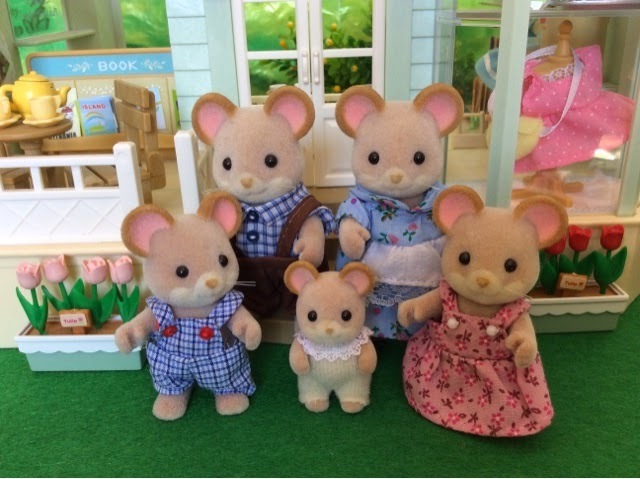 For this blog I will feature the first five families I got, well 6 to be precise, but I'm still happy with the profile picture of the Whiskers so I will just update their bio. The aim is to do this at least once a week until all pictures and bio's are updated. 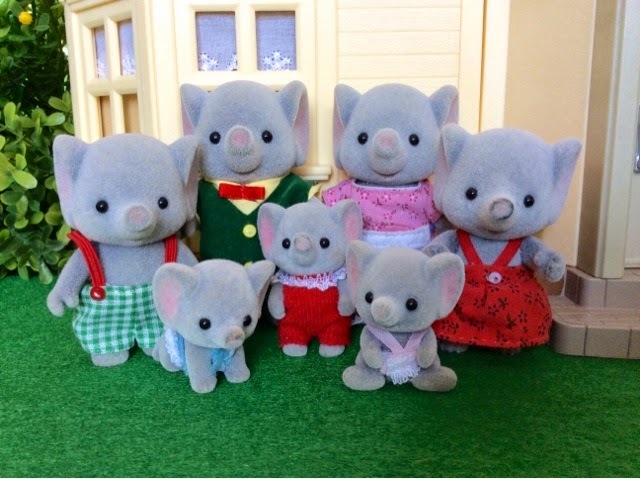 The Trunk family has seven members, Hugo and Savannah as the parents and then their 5 children. 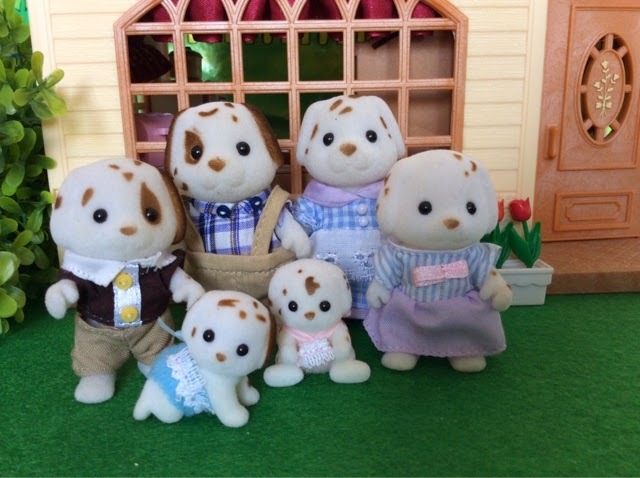 Hugo co-owns a lumberyard with his siblings, but is also the mayor of the village. Apart from being the mayor's wife and a full time mother, Savannah is also a freelance writer. Savannah has a sister in Whisper Wood, Ella Ellwood. The Trunks live in Beechwood Hall. The Henry-Lloyds have settled nicely into the village and do not regret their decision to move to Sugarbush Valley. They family of 6 live in Cedar Terrace 1. Things are finally looking better for the Corntop Family. The deli is open for business, and Hector and Christabel plans a grand opening soon. The renovations of the little flat on top, Orchard Cottage, is taking more time than expected though. 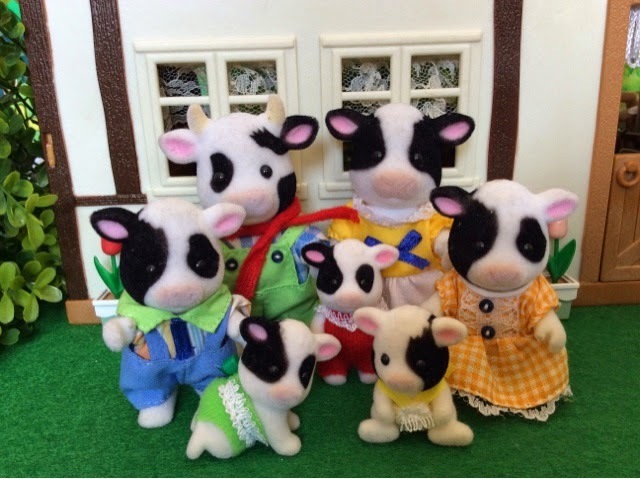 The kids are happy and even shy little Cora is enjoying the nursery. Father Sebastiaan doesn't regret selling his business for one day, as the Florist is b(l)ooming and he is much less stressed. Katrina appreciates Sebastiaan's input and is unsure how she ever managed without him. The Whiskers live in Meadowcroft Cottage 1. Things on Highfields farm are as splendid as ever and the Buttercups are loving life. After her little house renovating project Daisy is a much more pleasant wife too, and Hornbull can take his leisurely strolls uninterrupted again. Daisy's bother, Gabriel Hornigold, will soon be visiting them form Marigold Creek, and her days are spent making Garbriel's favorite flavours of ice cream. Just like his brother Cecil Maces, who lives in Marigold Creek, Spencer is enjoying the slow living of Sugarbush Valley. That is it for this week then, hope you enjoyed the updates and the new pictures. Please visit my blog for the full biographies of all my families. Thank you Kyra! I wanted to make the relations known! 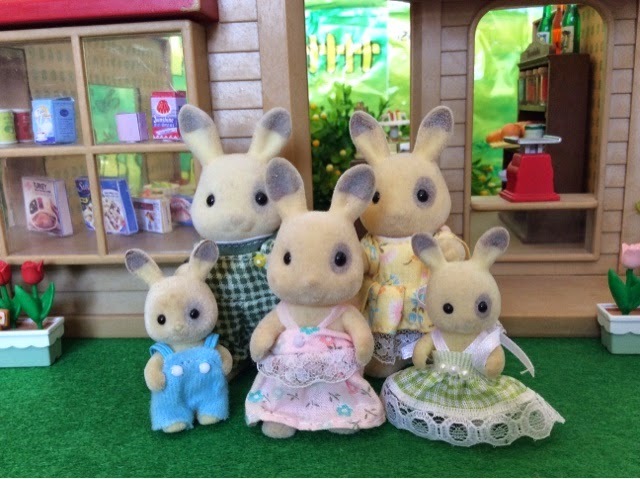 It is wonderful to have family all over the (Sylvanian) world! Awesome bios Eaton! Loving the links to other towns! Thank you Grace aka Feebi! Do let me know if you are interested in having family in SV. Thank you! Family are important and people should know about it!